KTSE result will be declared on 2nd December 2018 for class 8th & 9th and 5th December 2018 for class 10th. 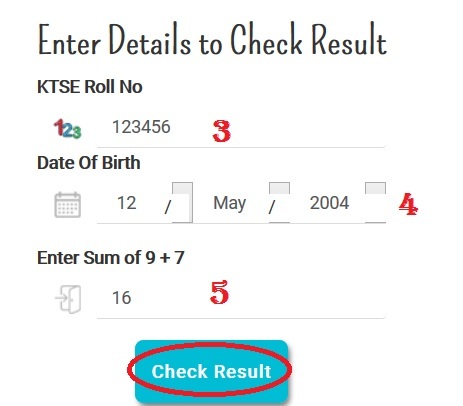 Just follow the below steps to check your KTSE Result 2018. Step 1 : Go to the official website of Kelvin Foundation provided above. Step 6 : Finally click on “Check Result” button. Timing: 11:00 A.M. to 01:00 P.M.
Kindly follow the below steps to Download your Answer Key. Step 1 : Go to the official website provided above. Step 2 : Then click on “Answer Key” button in the menu bar. ** There would be a “Surprise Reward” for Toppers from each class. 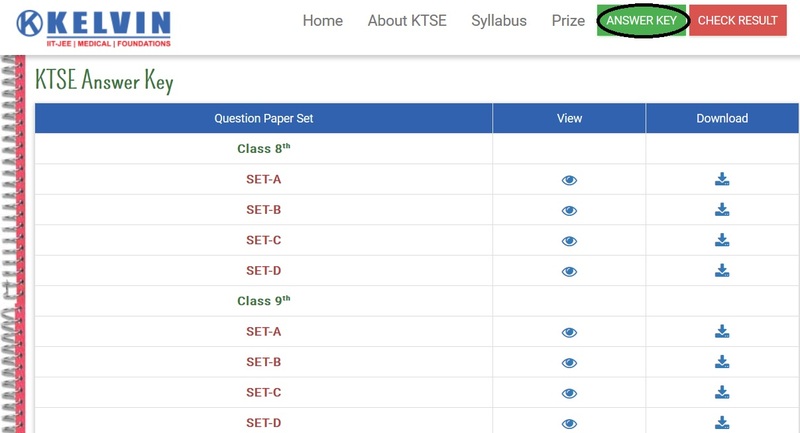 ** Every participating student would be given a KTSE Participation Certificate to recognize his/ her efforts in the exam. ** The students getting Cash Reward will also be awarded with a Medal/ Trophy to acknowledge their exemplary efforts. Being a responsible and leading coaching institute in IIT/Medical/ NTSE/ Olympiads coaching, KELVIN is proud to announce its prestigious talent search exam to provide an equal opportunity to every single student to prepare for biggest entrances of India, i.e. IIT/Medical/ NTSE/ Olympiads. KTSE is the perfect arena to test your skills and overcome your adversities. It is the lucrative chance for all those students who want to prove themselves, this year and every upcoming year. We are reaching to the roots of educational system, we are meeting with students in schools and offering a way to realize their dreams in the easiest way possible. I had given the talent hunt exam of Kelvin. I am in 9th class. Can I also take admission in Kelvin Institute at Laxmi Nagar branch? If yes, then what is the total expenditure of my admission?